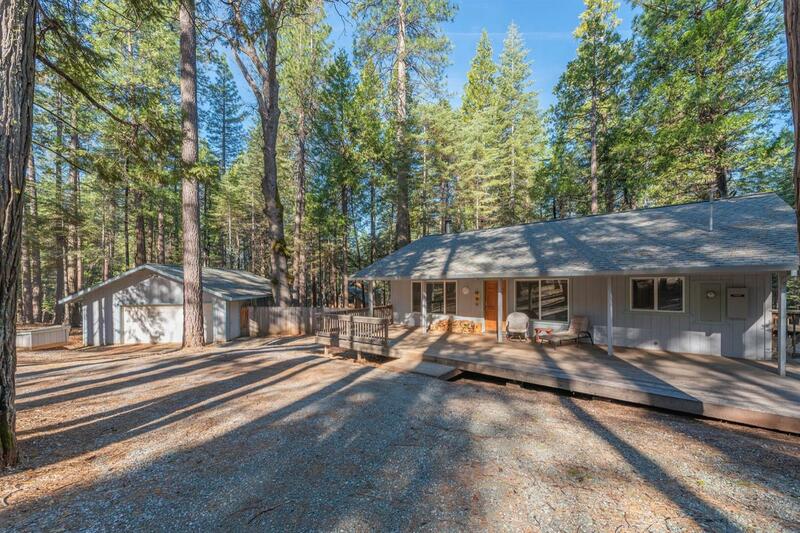 Nestled in the pines is 2 bedrooms and 2 bathrooms cozy home with a detached two car garage. 2x6 constructed walls, windows are dual pane Low E throughout. Roof is a 50 year comp per the seller on both the house and the garage. Average PG&E bill for this seller is $40! If you are looking for that cabin retreat, this may be the one for you!